Foodin New England: Bacon Love! 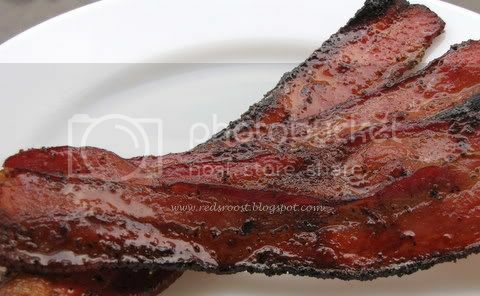 >Now who doesn’t love bacon? Thick-sliced, hearty-peppercorn,sweet and salty bacon? 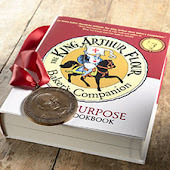 That’s just what you are going to get with this quick and easy recipe for breakfast,snack, or possibly a kicked up sandwich. There’s only one problem. Double the batch. 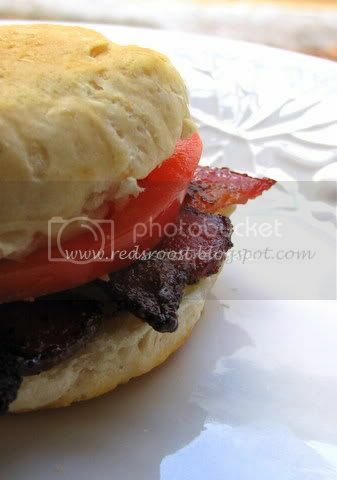 I made a cutsie little Bacon, Cheese, and Tomato Biscuit for lunch. 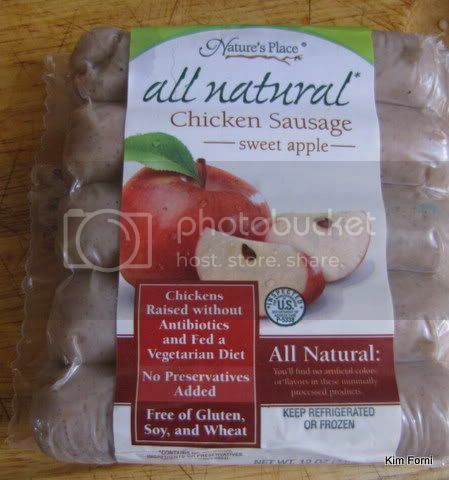 Also, if you are in Hannaford, try their Natures Place All Natural Chicken Sausage. 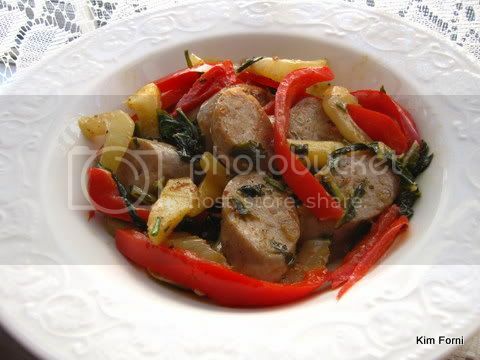 I made this pretty “stir fry” with mine! *Disclaimer* Hannaford provided a giftcard for me to make this post.